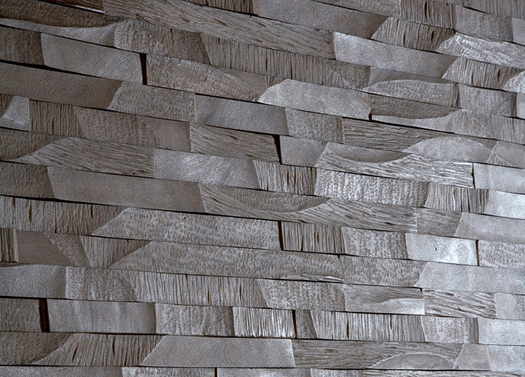 The actual textured dimensions aren’t the only memorable facets of these wall panels built by the company Architectural Systems. They are also functionally resilient in significant ways: The stone used — recycled marble — is resistant to the elements and impervious to fire, making it ideal for both indoor and outdoor settings. The facades can be molded into a multitude of patterns — quarry stone, lava stone, wood grain, among others — all of which are striking in their detail and distinctness. Metropolis magazine offers a thorough look into the versatility and ingeniousness of these beautiful panels.